Two Excellent Free Kindle Shifter Romance for Today! *Bootcamp of Misfits Wolves (Vanguard Elite Book 1) by Annie Nicholas. Price: Free. Genre: Shifter Steamy Romance, Military, Paranormal. Rated: 4.4 stars on 63 Reviews. 141 pages. ASIN: B016IPTAU6. *The Lion’s Unwanted Mate by Lilly Pink. Price: Free. Genre: Shifter Steamy Romance, Fantasy, Military. Rated: 4.5 stars on 42 Reviews. 208 pages. ASIN: B0182JKGR2. Posted on May 31, 2016 Author KibetCategories Shifter Romance Free Books KindleTags Paranormal RomanceLeave a comment on Two Excellent Free Kindle Shifter Romance for Today! **Reach for the Sky (Wolffe Peak Book 1) by Gwen Knight. Price: Free. Genre: Shifter Steamy Romance of the Day, Paranormal, Romantic Suspense. Rated: 4.6 stars on 88 Reviews. 206 pages. ASIN: B00VPRARAK. ***Kindling Flames: Gathering Tinder (The Ancient Fire Series Book 1) by Julie Wetzel. Price: Free. Genre: Shifter Romance of the Day, Sponsor, Vampires, Werewolves & Shifters, Romance. Rated: 4.3 stars on 240 Reviews. 223 pages. ASIN: B00NGUEZB6. $1 Superb Steamy Bear Shifter Romance Deal! 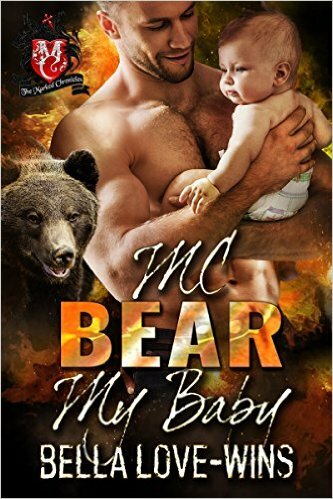 Excellent Bear Shifter Steamy Romance Deal of the Day! *MC Bear My Baby (Beartooth Brotherhood MC) (Deal, Not Free) by Bella Love-Wins. Price: $0.99. Genre: Steamy Bear Shifter Romance Deal of the Day, Sponsor, MC Club Romance, Romantic Suspense, Werewolves & Shifters. Rated: 4.8 stars on 31 Reviews. 184 pages. ASIN: B01FTR0HBA. Excellent $1 Steamy Bear Shifter Romance Deal of the Day! Posted on May 23, 2016 Author KibetCategories Bear ShifterLeave a comment on Excellent $1 Steamy Bear Shifter Romance Deal of the Day! ***Lyric’s Accidental Mate (Iron Wolves MC 1 ~ Bite of the Moon) by Elle Boon. Price: Free. Genre: Steamy Shifter Romance of the Day, Angels, Psychics. Rated: 4.7 stars on 303 Reviews. 201 pages. ASIN: B015MCEQSC. Dating Two Dragons Comeshift Series by Sky Winters. Price: Free. Genre: Shifter Steamy Romance, Werewolves & Shifters, Single Authors. Rated: 4.3 stars on 10 Reviews. 777 pages. ASIN: B01FLKIN4S. The Werewolf Kidnapper (Book 5) by Sicily Duval. Price: Free. Genre: Shifter Steamy Romance, Romantic Comedy. Rated: 4.6 stars on 8 Reviews. ASIN: B01BXCH6H8. **Jade Crew (Ridgeback Bears Book 1) by Amelia Jade. Price: Free. Genre: Steamy Bear Shifter Romance of the Day, Fantasy Steamy Romance, Paranormal. Rated: 4.6 stars on 77 Reviews. 167 pages. ASIN: B019VRVQH8. **Hers To Bear (The Animal In Me Series Book 1) by Tamara Hoffa, Ariana Gaynor. Price: Free. Genre: Shifter Steamy Romance, Paranormal, Romantic Comedy. Rated: 4.5 stars on 61 Reviews. 180 pages. ASIN: B0155KT00U. The Witch and the Wolf by Lola Kidd. Price: Free. Genre: Shifter Steamy Romance, Paranormal, Romantic Comedy. Rated: 4 stars on 9 Reviews. 222 pages. ASIN: B00SDJ68EM. *Fever Claim (The Sigma Menace) by Marie Johnston. Price: Free. Genre: Shifter Steamy Romance, Science Fiction, Paranormal. Rated: 4.5 stars on 33 Reviews. 250 pages. ASIN: B00QWHMB3Y.